A “clean plant” used to mean that pests and diseases could not be detected, but another meaning is being added to the phrase “clean plants.” The idea that a ‘clean plant’ can be produced and protected, without pesticide residues is increasing in popularity. 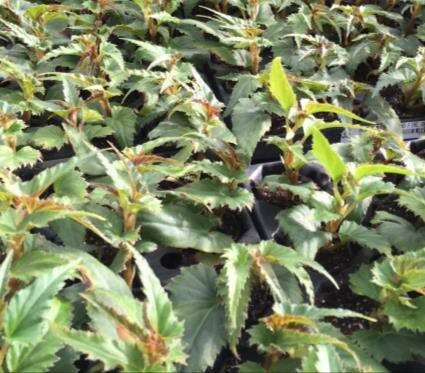 Increasingly, growers of finished plants are requesting young plants that have been protected with biological control agents as the primary means of defense. These growers have learned first-hand the many benefits of biocontrol, and receiving residue-free plants, allows their pest control program to function without incident. ‘regular’ (see table below) biocontrol agents after the moisture is reduced. Growing systems not using a lot of moisture, should inoculate their plants with ‘regular’ (see table below) biocontrol agents right away. 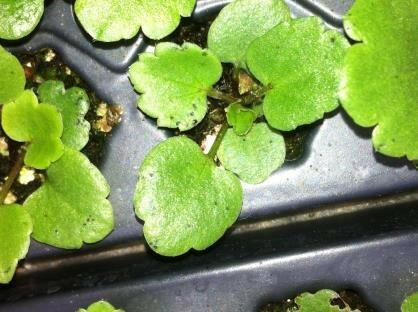 The propagation phase of the plant’s life is quite short and this guide is specific for this phase. It is not a ‘stand-alone’ program. It is critical that the recipient of the ‘clean’ plant, initiate their own pest control program immediately. 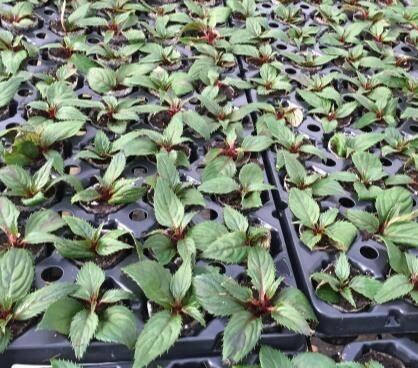 Fungus Gnat: Release Stratiolaelaps scimitus (Hypoaspis miles) preventively onto newly sown or newly-planted/transplanted pots, plug trays etc. Apply to all ‘dry’ crops or after crop has finished ‘wet’ phase. Usually one application is all that is needed. For ‘wet’ growing systems, apply the nematode Steinernema feltiae and then place plants under mist/plastic. It is possible to apply nematodes during and after this phase too. Check with your Beneficial Insectary representative. Shore Fly: Dalotia coriaria (Atheta coriaria) is a beetle that devours all stages of immature shore fly. Apply to all ‘dry’ crops or after crop has finished ‘wet’ phase. Usually one application is all that is needed. For ‘wet’ growing systems, apply the nematode Steinernema carpocapsae and then place plants under mist/plastic. It is possible to apply nematodes during and after this phase too. Check with your Beneficial Insectary representative. Thrips: For all “dry crops” release Neoseiulus cucumeris preventively. Release Orius insidiosus on hot-spots. For ‘wet’ crops, apply Steinernema feltaie. Spider Mite: For all “dry crops” release Phytoseiulus persimilis upon detection of spider mite. Apply this biocontrol agent to hot-spots or throughout the crop in what is called a ‘blanket’ treatment. Whitefly: For all “dry crops” apply the parasites Encarsia formosa and/or Eretmocerus eremicus. These parasites attack the young stages of whitefly and not adults. Steinernema carpocapsae 0.2 per sq. ft.
Orius insidiosus Loose 10/sq. ft.
Spider Mite Phytoseiulus persimilis 2 – 20 per sq. ft.
Chrysoperla rufilabris 0.05 per sq. ft. Note, the above is intended as a guideline and is not a written recommendation. GreenMethods Website by Beneficial Insectary, Inc.